Hey folks, I’ve got another book to share. Visual design isn’t the first important skill an instructional designer needs, but it may be the second or third one. Even if you are fortunate enough to work with a graphic designer, having a good visual sense allows you to communicate design needs much more effectively. 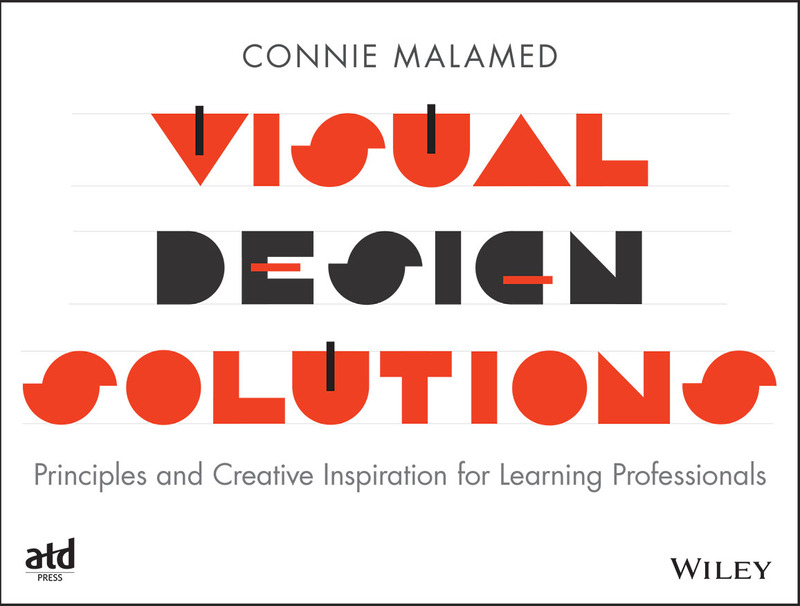 Visual Design Solutions: Principles and Creative Inspiration for Learning Professionals Paperback – April 13, 2015 by Connie Malamed (available in all the usual places). 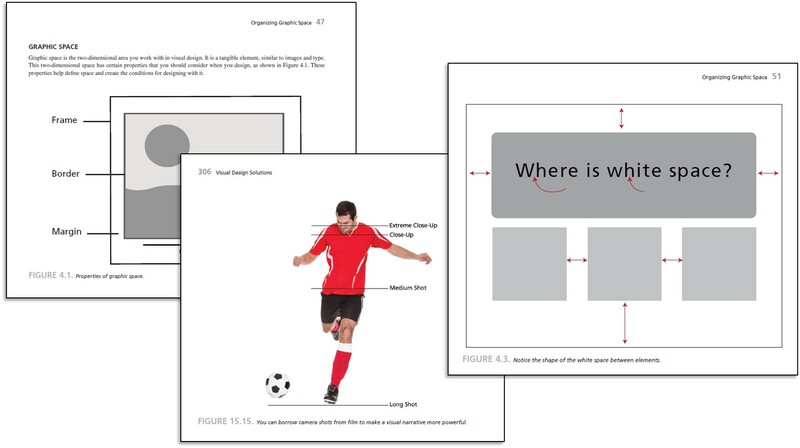 This entry was posted in Book, Instructional Design, Learning Visuals and tagged Books by Smart People, Connie Malamed, Visual Design Solutions by jdirksen. Bookmark the permalink. Excited to see this book is out now. Am a huge fan of the previous one and have been waiting for this one. Can’t wait to buy it. I’m buying it. I had a personal conversation on Twitter with the author on whether or not I’d “get it,” as I’m a visual no-nada! I look forward to changing that just a little. And how nice of her to respond personally. She must indeed be nice! 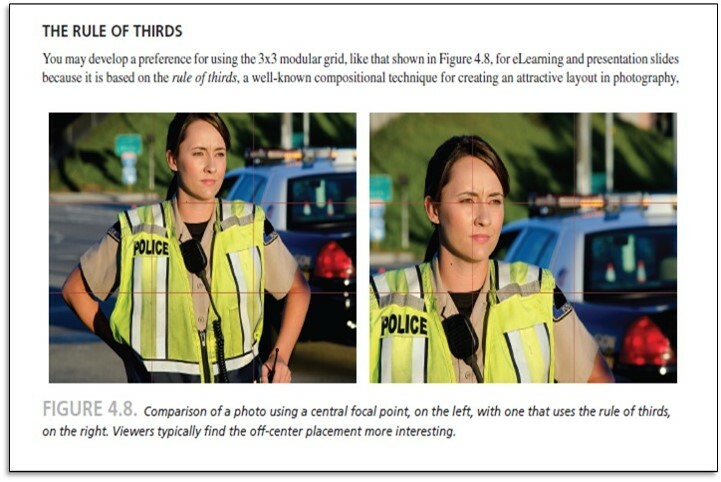 Yes the photo does use the rule of thirds, but it also zooms in to the face to create interest. Not a well explained example.